Does your computer run sluggish, freeze, or frequently crash in the middle of running certain programs? Is your browser hijacked? If so it stands to chance that your computer has been infected with spyware! What is spyware? Spyware is any technology that secretly gathers personal data about you without your knowledge or consent. Your information is then relayed to advertisers or other interested parties. Spyware can get into your computer from installing a new program or carelessly browsing the internet without taking precautions. 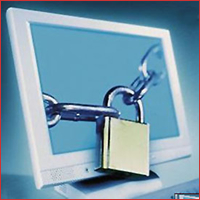 As part of a detailed system analysis we determine the root cause of your computer freezes, lockups, and crashes. We supply updates; remove spyware, adware, and other harmful malware that could threaten your computer system. Technical advice is provided on keeping your computer running fast and virus free to maintain optimum performance thereby preserving the life of your computer. We will keep your computer and personal data safe from these online threats! At Home/Office our main focus is to keep your computer safe, therefore we specialize in spyware removal and we understand the importance of keeping your information systems operating reliably as well as productively ... we therefore take every care in reducing the length of time that your computer equipment is offline. Noticeable benefits to your equipment! We minimize the need for expensive service calls by saving you $100’s on computer replacement. We are your first line of defense against lost productivity. You could think of this valuable service as preventive maintenance and security for your computer system. Note: Please provide original software disk that came with your computer if necessary. Without the spyware removal package your computer is vulnerable to viruses, spyware, adware, pop-ups, skumware, and other malicious code that can cripple your system if not detected quickly. These dangerous programs download themselves without your knowledge or consent and risk the safety of your computer, your network, and your personal data. We protect you from cracker attacks and malware infections with the right tools and by stressing protective behavior and constant vigilance, we give you the confidence that your system and personal data is safe and secure. The Spyware and virus removal price is $99.00 per computer. Your system is cleaned out completely of all parasites to keep your computer running securely and virus free.